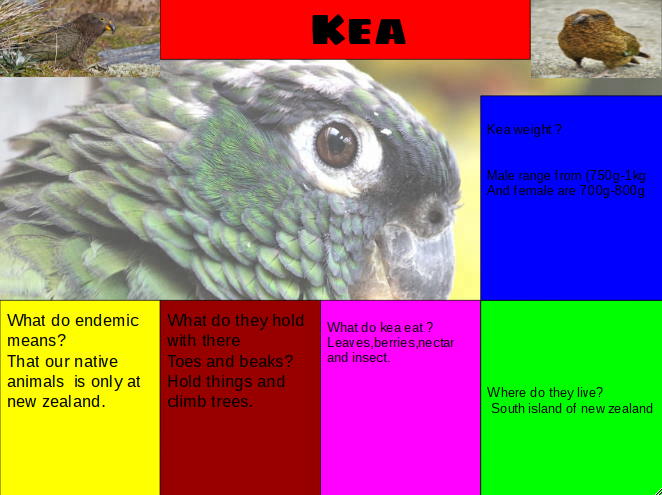 Task description : We are learning about what do endemic means read my poster about our Kea. Why can’t you find kiwi in the city? Because they have to stay away from pest. Is on islands.to keep the pest away. Where is the Wildlife Sanctuary? At wellington where there no pest around but there are 11 pest around. Why is it good for a Sanctuary to be on an island? Because pest can’t swim to that island. Why do they want to build a fence? What does the fence need to look like? 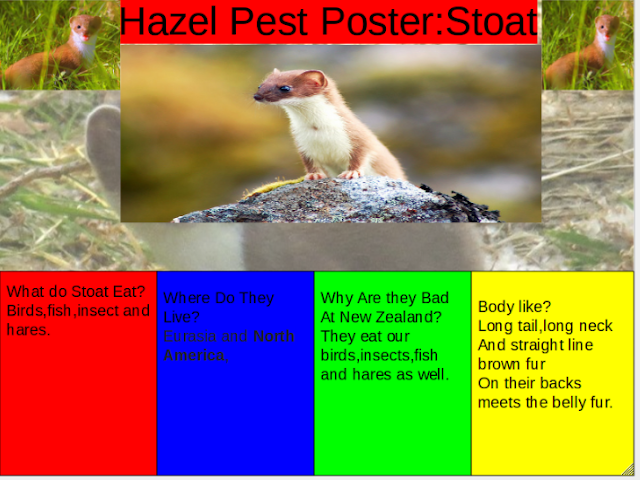 So the pest will stay away from are native animals. Why do they have to be so careful to make a good fence? Task deception: Do we have pest in New Zealand ? well check my Pest Detectives to see are pest . We are learning how to read tally charts and bar graphs.